IMTA holds many competitions at each of their events to allow each talent to show off their specific skill sets. Models demonstrate their potential in several IMTA competitions. The international agents who are judging are not only selecting the winners, they're also scouting for new talent. Each IMTA modeling competition is produced to showcase the model's look, style, walk and potential. 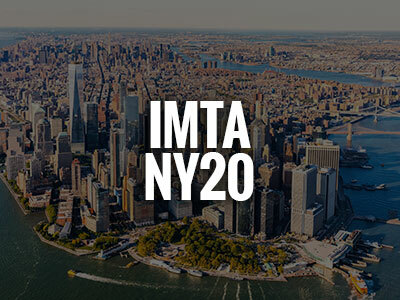 IMTA conventions provide a professional venue to compete with the best in the industry. IMTA is well-known for starting models on the path to success, but more importantly, for building self-confidence and realizing success. Actors, singers and dancers demonstrate their potential in several IMTA competitions. The agents, personal managers and casting directors who are judging are not only scoring the participants, they're also scouting for new talent. Each of the IMTA talent competitions is designed to showcase potential, look and ability. IMTA Conventions provide a professional venue to market talent and compete with the best in the entertainment industry. IMTA is well-known for starting actors, singers and dancers on the path to a successful career, but more importantly, IMTA helps build self-confidence and realize dreams. The IMTA Songwriting Competition provides aspiring Songwriters the opportunity to have their work presented in front of leading record producers and professional songwriters. Songwriting contestants perform – or have performed by other artists – original compositions in the categories of Pop, Rock, Country or Other (gospel, classical, etc.). IMTA gives Songwriting participants a stimulating platform to interact with and learn from other songwriters and industry professionals in a nurturing and supportive environment. How Do I Attend IMTA? How do I attend IMTA? It's easy! Start by signing up online to find auditions with one of our members near you. Did you know that IMTA was the starting point for many well known stars over the last 40 years? It's true and you just might recognize some of them!